Olympic champions Fiji and Australia have added the Oceania Rugby Sevens titles to their list of successes in 2016 after contrasting title deciders at ANZ Stadium in Suva on Saturday. Fiji’s men, missing captain Osea Kolinisau who had to leave early to fly to London for the World Rugby Awards, overcame a spirited young Samoan outfit 28-19 in the final to the delight of the home crowd and interim coach Nacanieli Cawanibuka. “We always knew that Samoa would be a very tough team, but I am happy with how we played because the new players exceeded my expectations, they were calm under pressure and worked well with the experienced players,” said Cawanibuka. 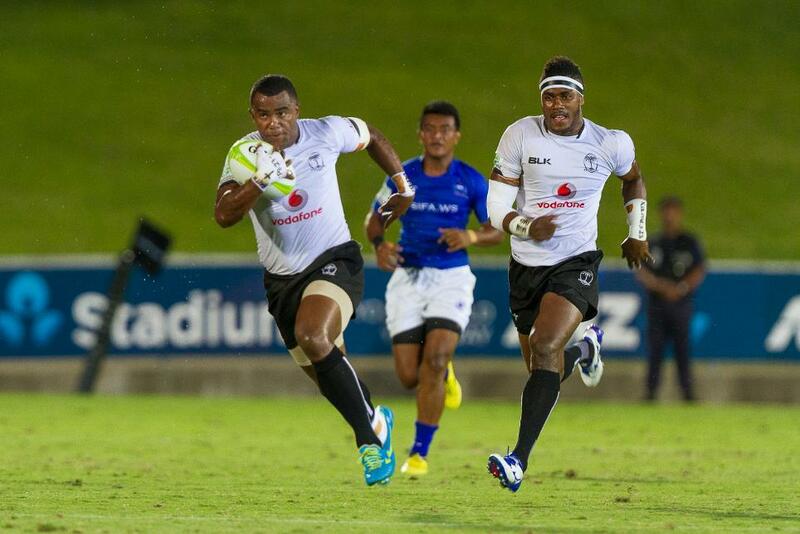 While Fiji, Samoa and third-ranked Australia were using the tournament as a final warm-up for the start of the HSBC World Rugby Sevens Series in Dubai on 2-3 December, for others there was still plenty for them to play for in the Fijian capital. Papua New Guinea may have lost to Samoa in the semi-final in extra-time and then to Australia in the third place play-off, but as ‘best of the rest’ outside the series core teams they booked their place as the invited team at both the Wellington and Sydney rounds early next year. They will also – along with fifth ranked Tonga – represent Oceania in the 2017-18 series qualifier in Hong Kong in April. Australia’s women, meanwhile, were a class apart in the round-robin competition which came down to expected final match with their hosts Fijiana. Led by co-captains Sharni Williams and Shannon Parry, Australia starved their opponents of possession to run out 31-0 winners. The Olympic and series champions, fielding a number of young players, finished the tournament with 258 points and 42 tries for and just one solitary try conceded in six matches, to give coach Tim Walsh a few welcome selection headaches ahead of the series opener in Dubai on 1-2 December. “I am really happy with the performance we put out this tournament,” insisted Walsh. “We had different experience levels in the squad with the players who were in Rio and the players doing their rugby apprenticeships. “Our debutants were outstanding. Emma Sykes, Hannah Southwell and Shanice Parker played exceptionally well and improved on every game. Papua New Guinea’s women also had cause to celebrate as third place behind Australia and Fijiana means they will join the 11 core teams in the Sydney round of the HSBC World Rugby Women’s Sevens Series in February and represent the region in the 2017-18 series qualifier as well.